This Basic Avocado Toast is a healthy and filling breakfast ready in just 5 minutes. 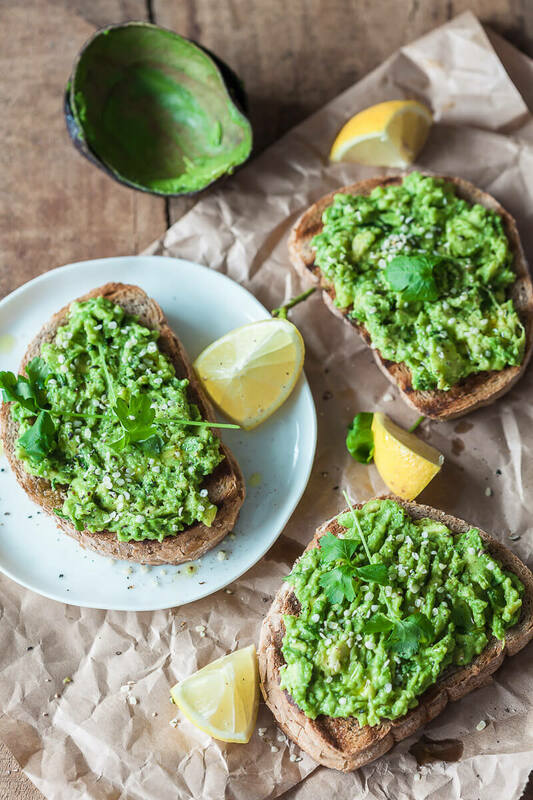 Only 3 main ingredients: bread, avocado, and lemon! Vegan and seriously delicious. Toast your bread slices in toaster, oven or on the stove. Once toasted, remove from toaster and place on plates. Slice avocado in half, remove pit in scoop out the flesh with a spoon. Place in a small bowl. Add a squeeze of lemon juice, season with a pinch of salt and some pepper. Add a teaspoon of finely chopped parsley (optional). With a fork, mash the avocado until creamy and combined with the rest of the ingredients. Crush a clove of garlic with your knife, remove peel, and rub the inner side of the garlic on top of the toasted bread slices. Add avocado mash on top of bread and serve. Optionally, you can drizzle some olive oil on top and add a sprinkle of hemp seeds.